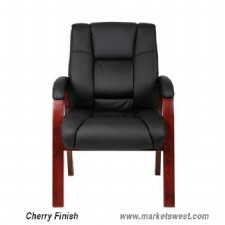 Beautifully Upholstered with breathable CaressoftPlus upholstery. Dacron filled top cushions with perforated centers. 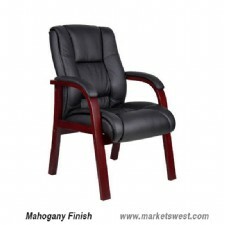 Available in Cherry (B8999-C) or Mahogany (B8999-M) wood finish. Heavy Duty 2 paddle spring mechanism with infinite tilt lock. 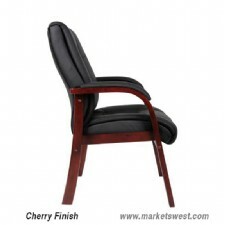 Overall size: 27"W x27"D x 44.5"-48"H.
NORSTAR chairs are warranted against manufacturing defects in material and workmanship for six years from the ORIGINAL DATE OF RETAIL PURCHASE with the following exceptions: Upholstery materials, foam, gas™ cylinders, wood components, control mechanisms and electronic components. Upholstery materials and foam are warranted against unusual wear or deterioration and gas cylinders, wood components, and controls against structural failure or unusual wear for EIGHTEEN months. All electronic components for the massaging units have a 90-day warranty period. The warranty obligation is limited to the replacement or repair, at NORSTAR OFFICE PRODUCTS™ option, of defective parts and components. The warranty of this product is null and void if the product is subject to negligence, abuse, misuse, modification, accident, or if the customer does not perform the necessary maintenance outline below. The warranty is only rated for the original purchaser of the product and will not be honored if the product is resold. All warranties are for normal usage defined as a forty-hour workweek by persons weighing two hundred fifty pounds or less. Exceptions are the model B205 that is limited to one hundred fifty pounds. The B990, B999 which are limited to three hundred fifty pounds and the B670 which is limited to three hundred pounds. 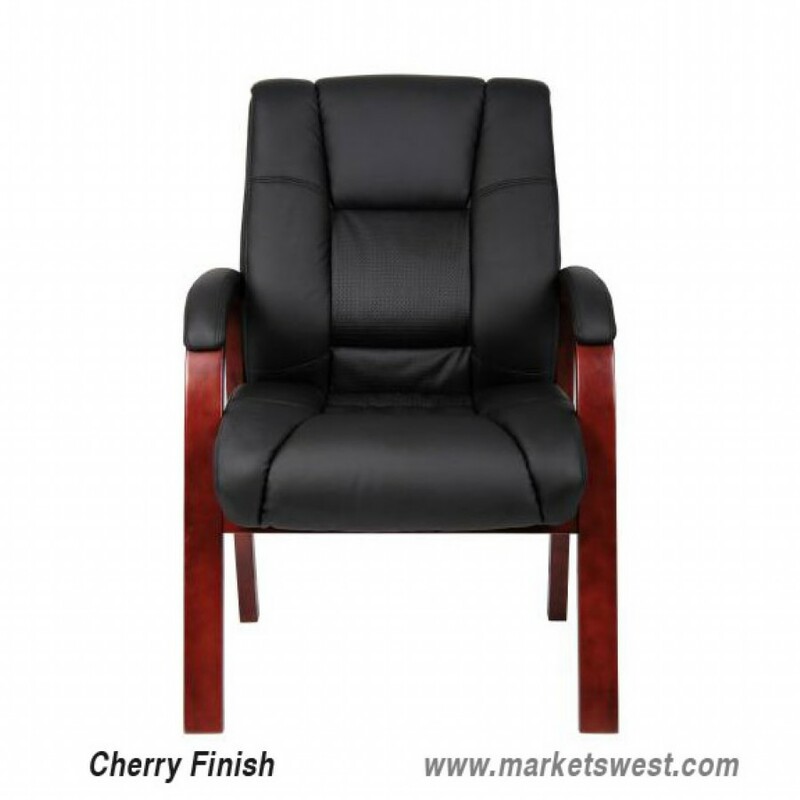 responsible for maintenance of this product including assembly, cleaning, and making sure all hardware is securely fastened. NORSTAR casegoods are warranted against manufacturing defects in material and workmanship for one year from the™ ORIGINAL DATE OF RETAIL PURCHASE.